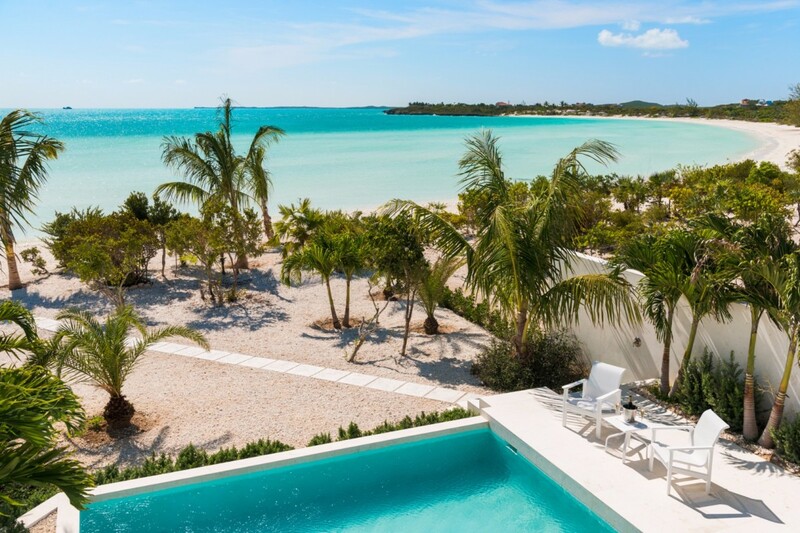 Villa Sorrento on Taylor Bay Beach, Turks and Caicos. 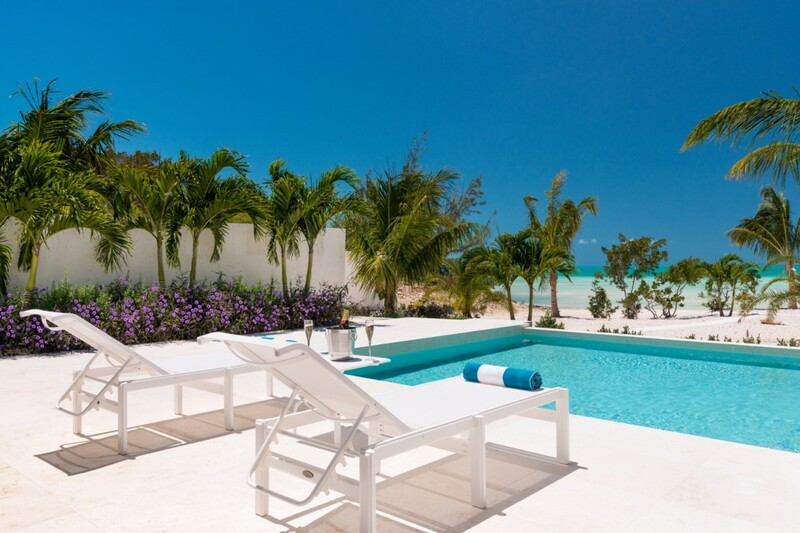 Welcome to Taylor Bay Beach, where you’ll find this romantic villa for two just waiting for your luxury vacation. 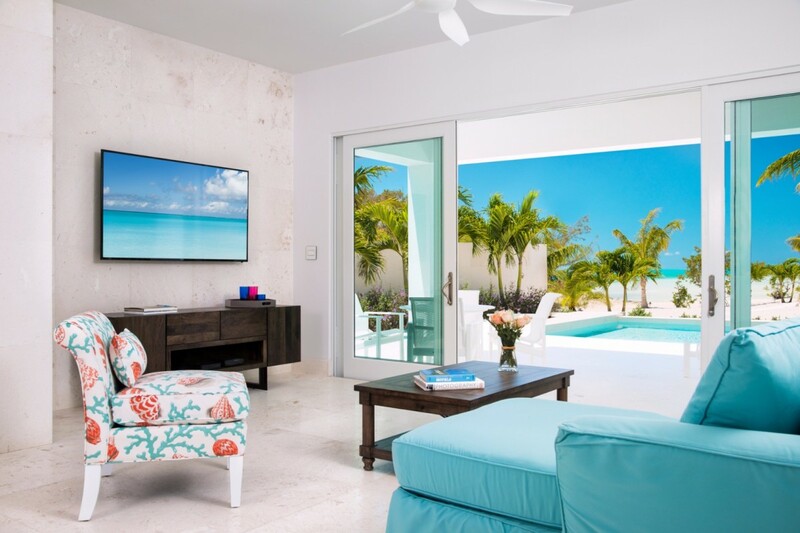 Villa Sorrento is perfect for an intimate getaway, with a cozy layout that invites you to curl up together and take in the gorgeous view, the island breeze, and the relaxed ambience. This two-story home has living areas on the first floor, complete with WiFi, cable TV, and a fully-equipped kitchen. 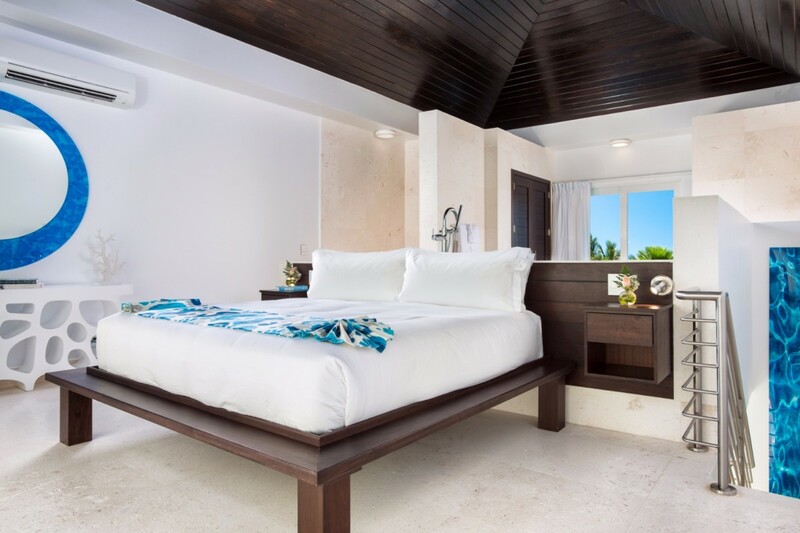 The second story is a luxurious king suite, with a walk-in closet and a private balcony where you can soak up the view any time you want. 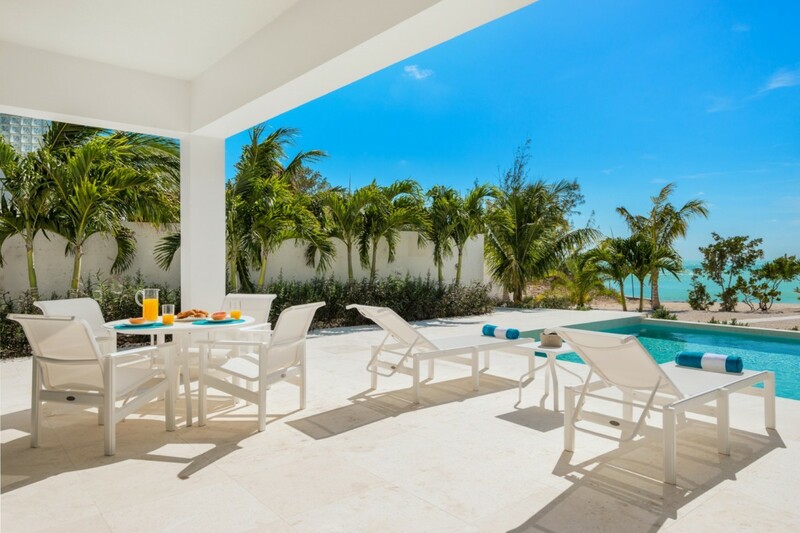 Take a stroll out the back door and you’ll be on your private terrace, with a pool and a barbecue – perfect for lazy afternoons together as you lock away the world for a while. 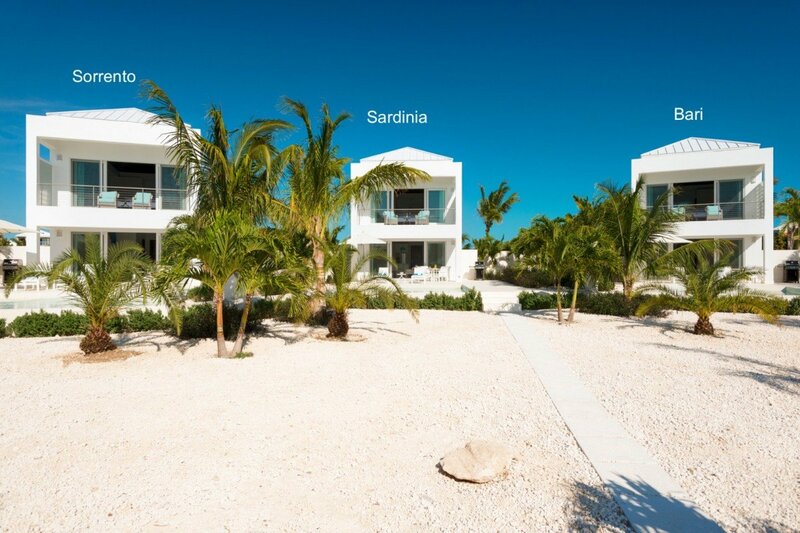 The white sandy beach is just a few steps beyond, and you also have access to the resort amenities nearby, including the tennis courts. 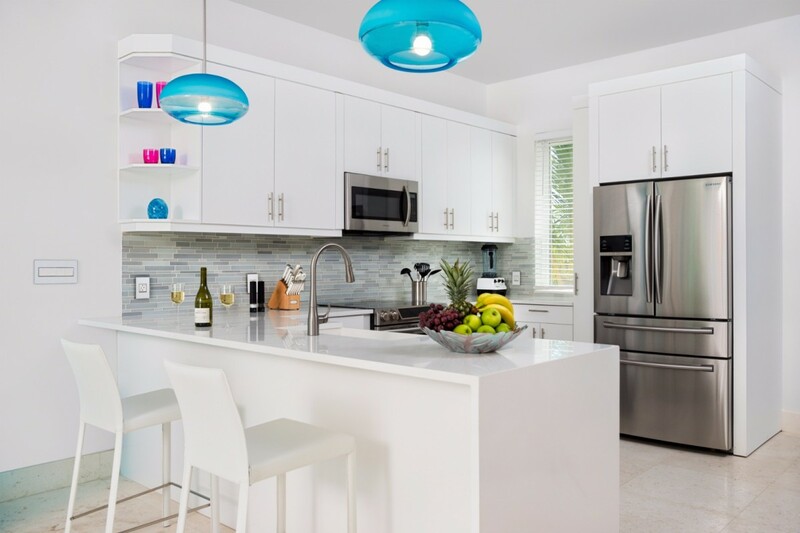 You can explore Turks and Caicos from your home base, finding fine dining, shopping, and outdoor adventure all over the islands – or you can just turn Sorrento into your own personal island, and let all your worries be washed away by this vacation. During your stay, a pool person and a housekeeper take care of all the chores, so you can simply relax and enjoy your stay. 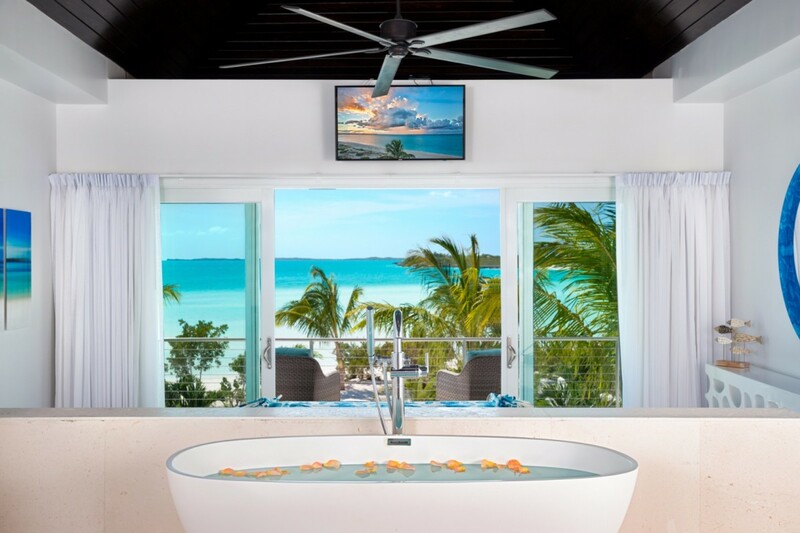 Your view is completely unbroken, so you can take in the sparkling turquoise waters during the day, or wait for a breathtaking view of the ocean under the stars at night. 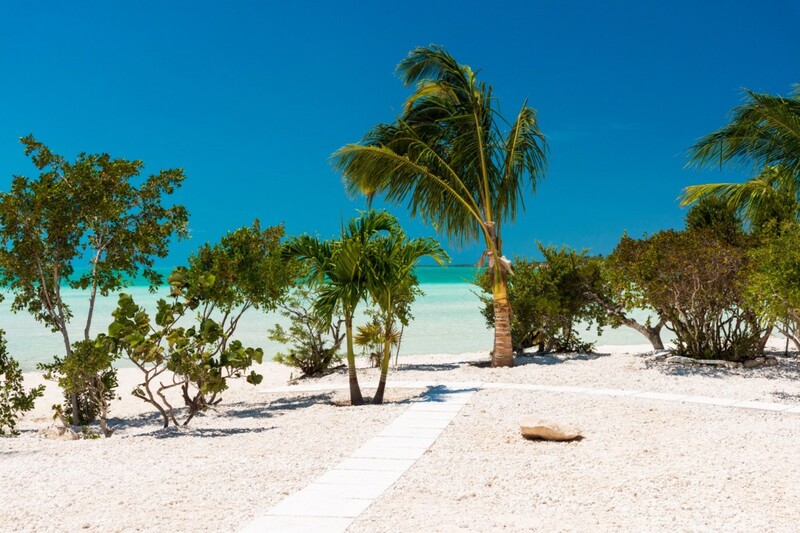 Let the sounds of the waves lapping at the sand send you off to dream land, and wake up to the sounds of tropical birds and the ocean breeze coming up from the beach. 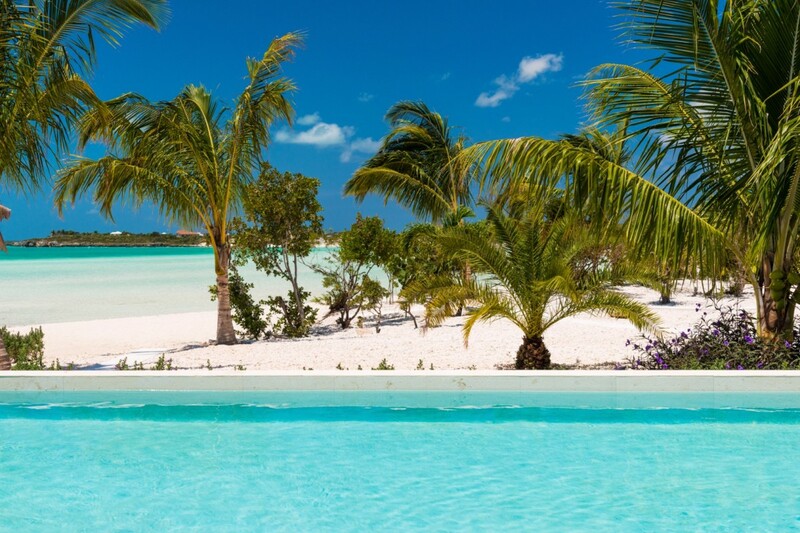 This oasis can be your annual getaway together, or your once-in-a-lifetime romantic vacation. 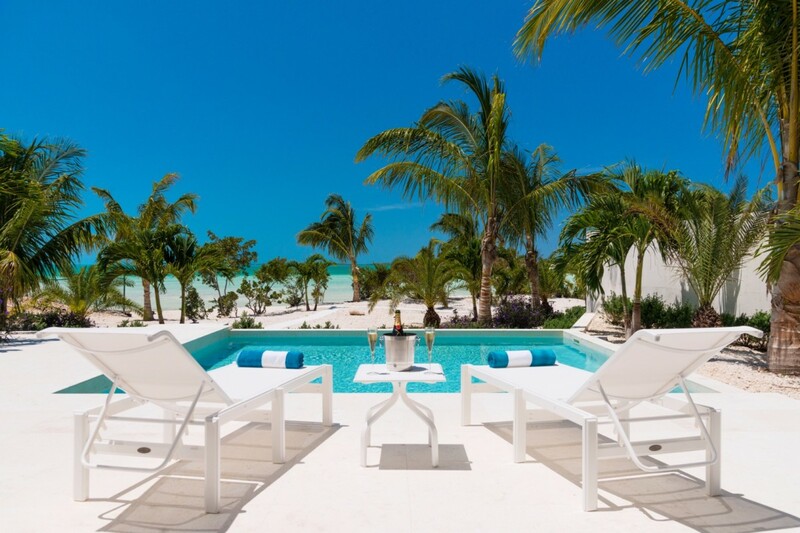 The villa includes a paddleboard and a kayak to be used among the three sister villas. The pool depth is approximately 4 feet. 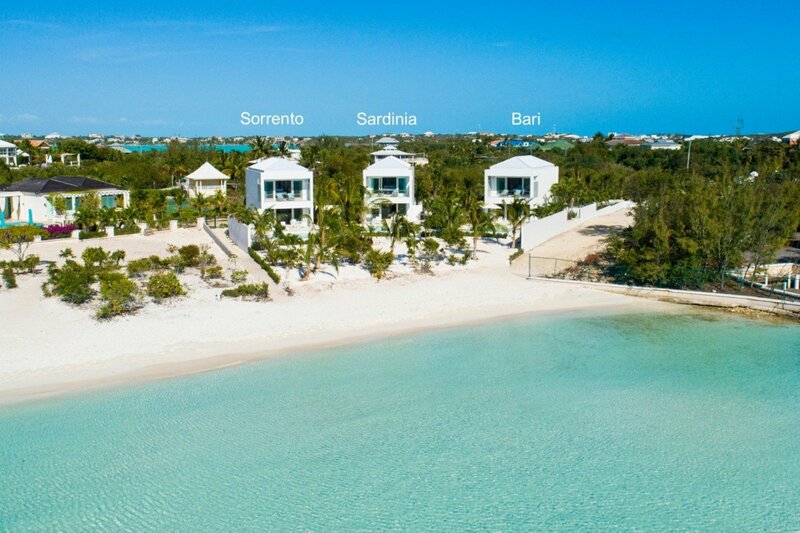 Villa Bari, Villa Sardinia and Villa Sorrento are brand new villas located on highly sought after Taylor Bay beach. Villa Sardinia is the middle villa flanked by villa Bari and villa Sorrento. The villa has a one time cleaning fee of $235 plus 12% tax to be added to the rate. What an amazing vacation! Taylor Bay was so nice and private. Incredible sunsets! My wife and I would make mixed drinks and walk out into the ocean to watch the sunset every night. Villa Sorrento was fantastic! It is well equipped with everything you could possibly need, super clean, and comfortable. Can't wait to come back! 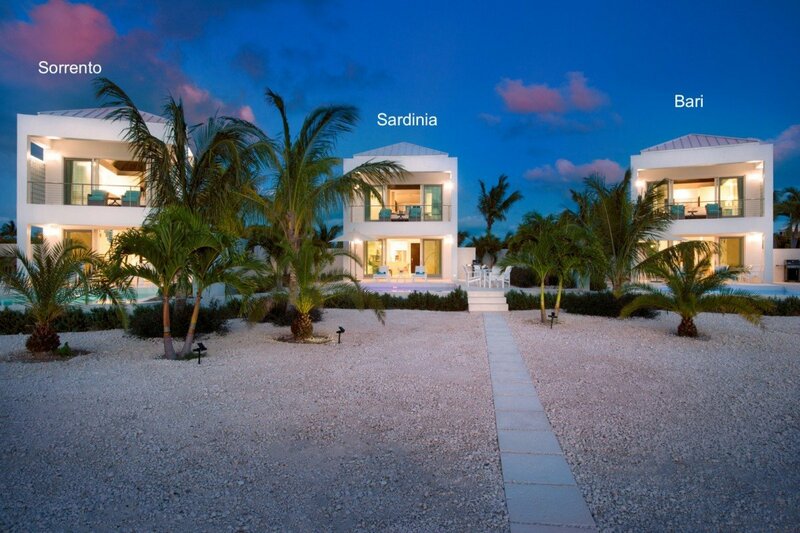 My husband and I celebrated our 25th wedding anniversary at this lovely villa. 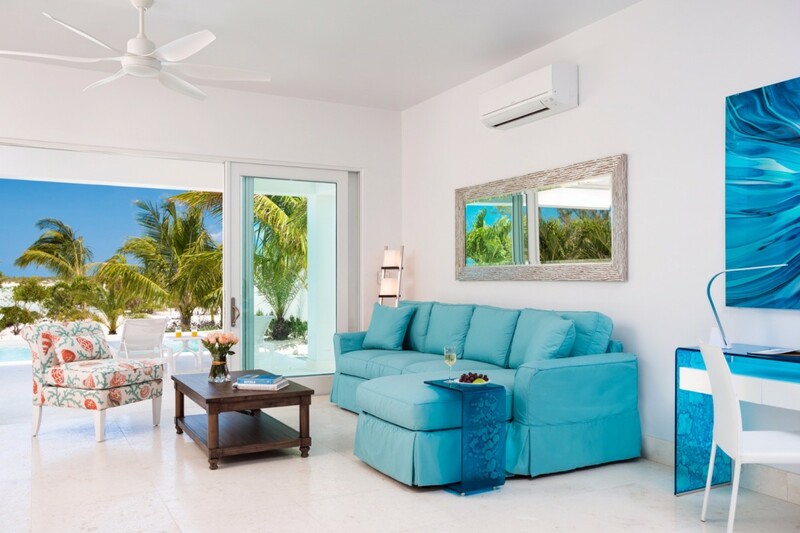 The décor is gorgeous and the villa was equipped with everything you need. The location is very special. 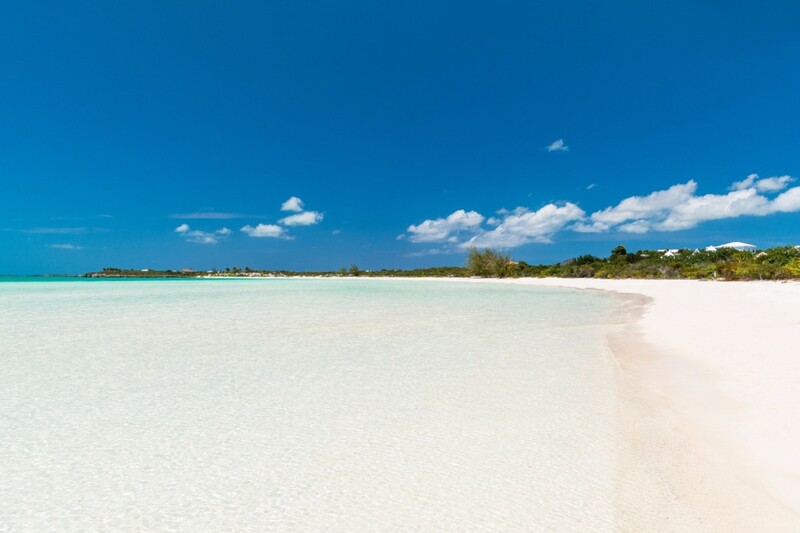 Taylor Bay Beach is breathtaking with calm waters and shallow for quite a distance. You can float, paddle board, kayak, etc. It is like no place we have ever been and we've been to many destinations in the Caribbean (St. Barts, Nevis, St. Martin, etc.) 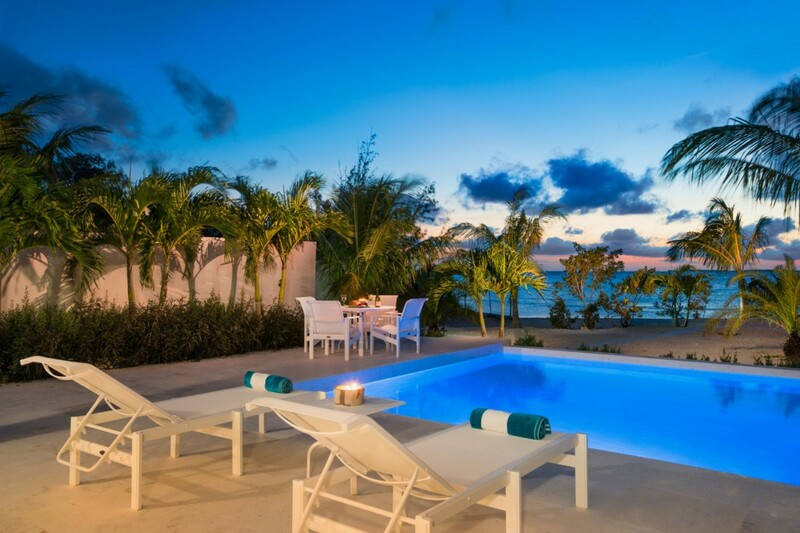 I would highly recommend this villa and hope to return myself someday. We had a exceptional time staying in the Sorrento Villa, has every amenity you could ask for. 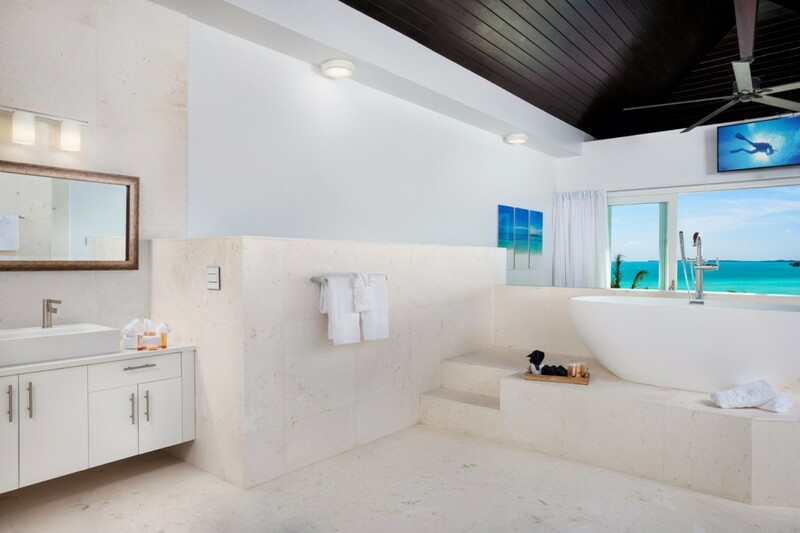 It's a home away from home directly on the Caribbean, but better. 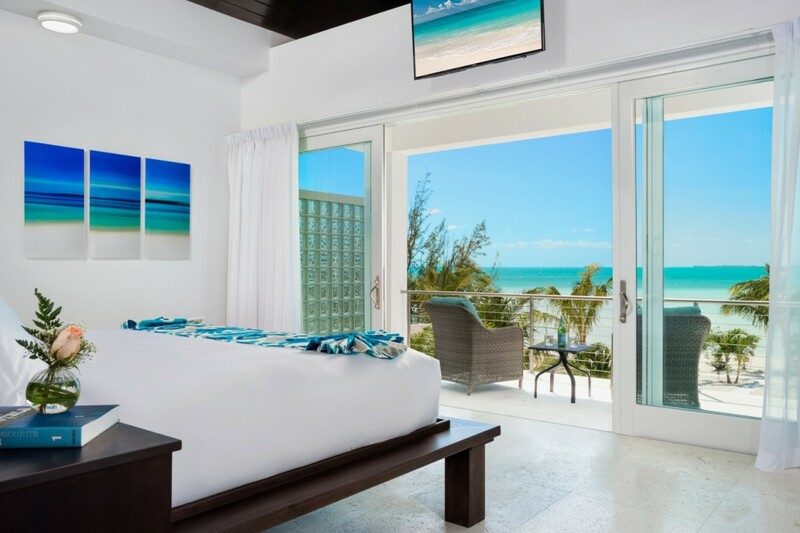 Well situated with peaceful surroundings and a brilliant view of the water right from your bed when you wake up in the morning. 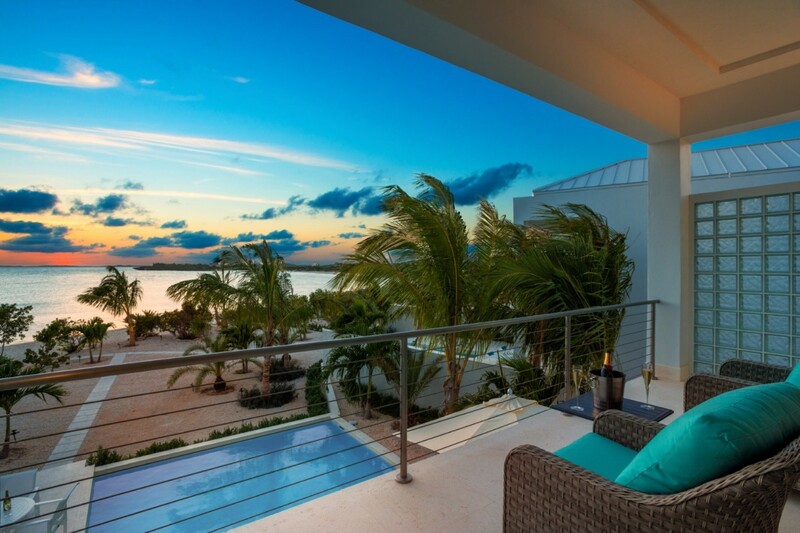 Allotted us the most brilliant vacation experience for our first stay in Turks. Will definitely be returning! 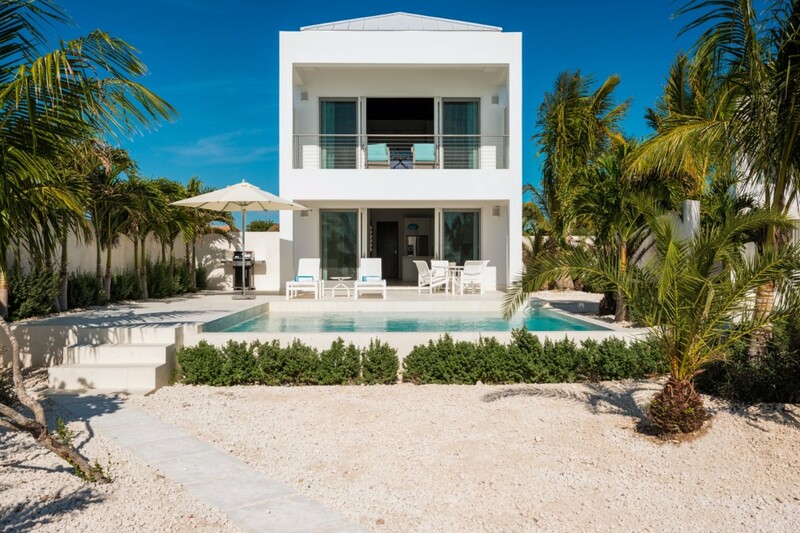 Taylor Bay has always been our favorite beach in Turks and Caicos, and we were so excited to learn of these new one bedroom villas right on the beach. We stayed in Villa Sorrento and we can't say enough wonderful things about it. Every thing about the villa is exquisite. 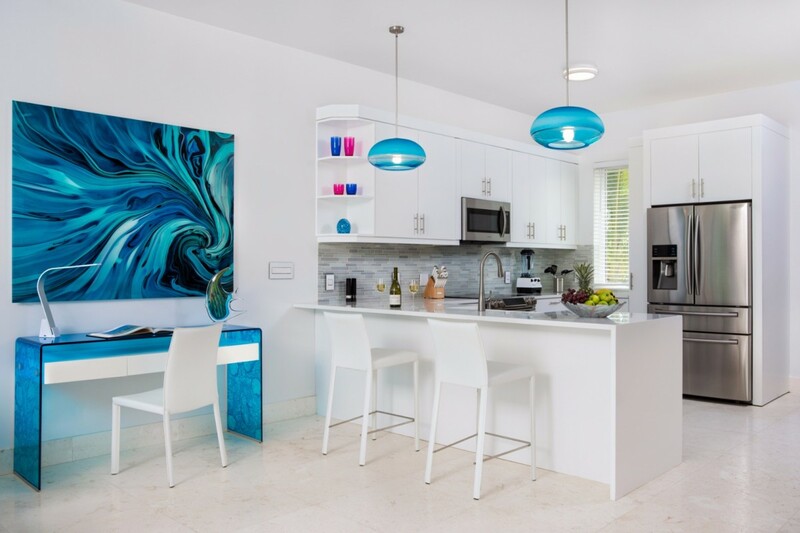 The furnishings and artwork are a perfect backdrop to the blue water view. The bedroom is huge with high, vaulted ceilings and we slept with the windows open every night. There was hardly anyone on the the beach and our favorite part of the day was a long walk along the water's edge with a cup of coffee. Doesn't get any better than that! Except maybe for the sunsets, which are spectacular on that side of the island. The private pool is great, although we preferred to spend most of our time with our feet in the sand. 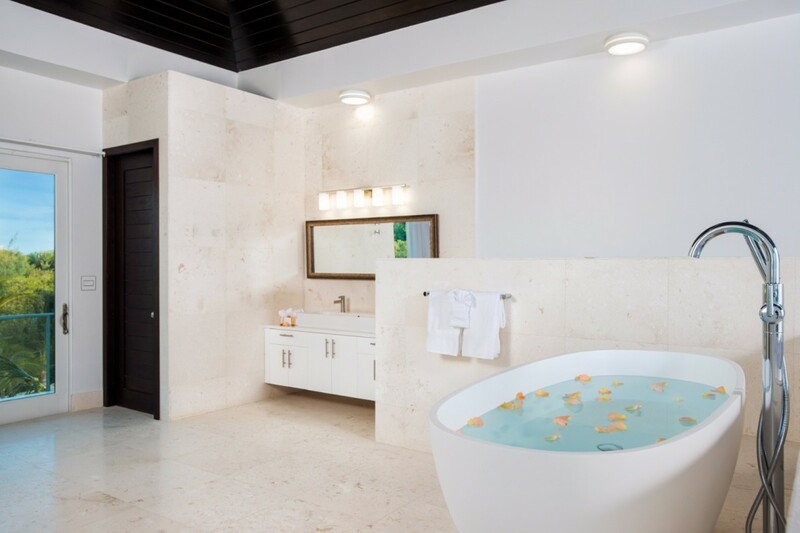 If you are looking for a quiet place to unwind and relax, this is it. Already trying to figure out when we can come back again, which we definitely will. So sad to come home! !